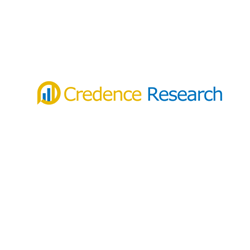 According to a new market research report published by Credence Research “Carbide Tools Market (by Carbide Type: Calcium Carbide, Silicon Carbide, Tungsten Carbide, Aluminum Carbide, Iron Carbide, and Titanium Carbide; by Carbide Grade: Cast-iron Grade Carbide and Steel Grade Carbide; by Application: Turning, Milling, Drilling and Other (Engraving, Threading, Grooving, etc. )- Growth, Future Prospects, and Competitive Landscape, 2018-2026”, the carbide tools market registered market value of US$ 5,723.49 Mn in 2017 estimated to grow with a CAGR of 6.75% during the forecast period from 2018 to 2026. Kommentar hinterlassen on "Blooming Manufacturing Industries Back Growth Of Carbide Tools Market"